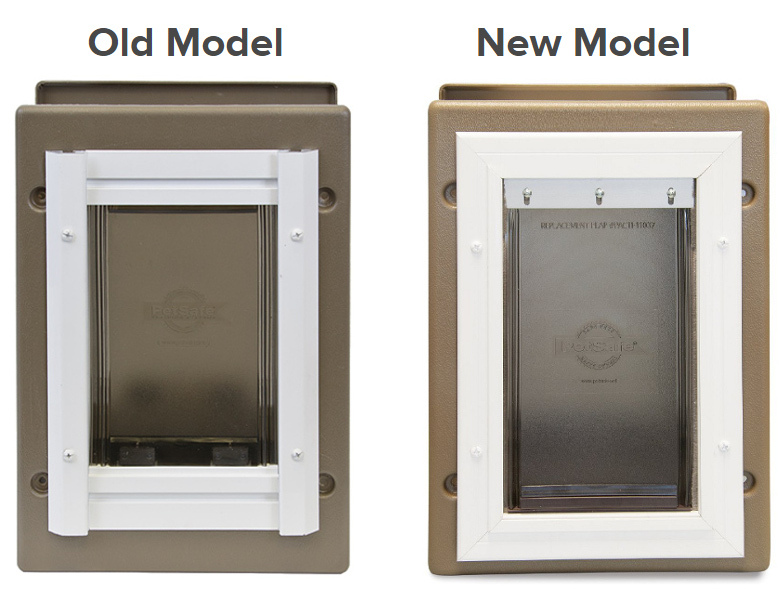 Replacement flap for the Classic Pet Door, Deluxe Patio Panel Door, and Wall Entry Aluminum Pet Door™. How do I replace the flap for my Deluxe or Instant Patio Panel? 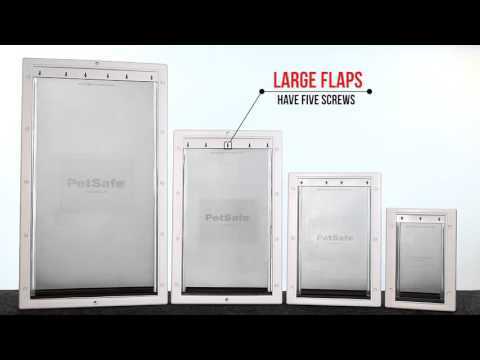 The Deluxe Patio Panels and Instant Patio Panels have either one center screw or two screws above the flap. Remove the screw(s) and pull down on the flap or the metal flap holder. Slide the old flap out and slide the new one into the flap holder. Reinsert the flap holder into the frame and reinstall screw(s). How do I replace the flap for my Wall Entry Aluminum Pet Door?